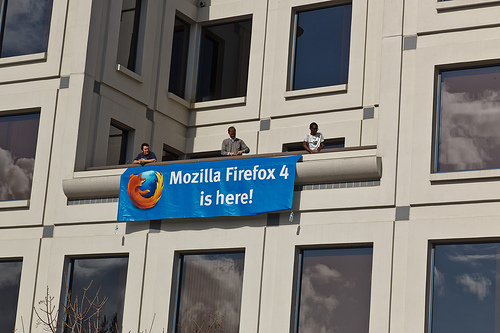 Come join the new Firefox release team at Mozilla! | LegNeato! Come join the new Firefox release team at Mozilla! With the new Firefox rapid release process managing the details of those releases is even more critical as we absolutely cannot slip the schedule. Because the schedules are set in stone we need to manage a lot more up front. Additionally, with releases shipping on a faster cadence there is less time for mistakes to be caught. When one adds in new platforms (smartphones, tablets), new products (Firefox Mobile, Firefox Home), and new channels (Nightly, Aurora) there is clearly a growing need for project and release management. To meet this growing need Mozilla is hiring for a new release management team! Associate Engineering Project Manager – Releases: We’re looking for someone at the beginning of their career who can learn the ropes and grow to be an experienced member of the release management team. Problem solving, great communication skills, and technical chops are a must! Engineering Project Manager – Releases: We’re looking for someone with tons of experience managing software releases, hopefully at internet scale. This person will hit the ground running, taking the lead on many releases as well as driving process improvements. Wikipedia has a somewhat decent description of what release management actually is. The main takeaway is the fact that it is a project management function, not development (writing the code for the bits that are eventually shipped), QA (testing the bits that are eventually shipped), or Release Engineering (managing the systems that build, package, and deliver the bits). All these groups have differing priorities and worldviews yet need to interact on the same project–that’s where release management comes in. Don’t worry, release management is not just playing with schedules, sending emails, and organizing meetings. There is ample opportunity to create tools (examples aren’t hard to find) , help define the direction of the product (by driving features or hashing out new processes), and make decisions that directly impact hundreds of millions of people worldwide. While our preference would be to have the employees work out of our Mountain View, CA office, it is not explicitly required. You don’t have to live in the San Francisco Bay Area, California, or even the United States! We have offices all over and for the right candidate / timezone we might even consider 100% remote (though your effectiveness will likely be diminished as a large part of the job is interaction with other people). If you do want to move to the San Francisco Bay Area, we can investigate how to get you here. 2 Responses to Come join the new Firefox release team at Mozilla!